This place is absolutely amazing. The rooms and the main lodge are nestled in the mountain rainforest of Rio Chirripo nature reserve. A gushing river runs through the property amidst exotic birds, monkeys and lush jungle plant life. The place is well located and is very quiet. The river nearby adds melody to the experience and helps you sleep!! Every corner of Río Chirripó Yoga Retreat is an invitation to relaxation. From the constant background sound of the running river to the beautiful gardens and pure cotton bed sheets, a stay at Río Chirripó is sure to soothe the souls of those looking for a respite from the city. Maximum 23 people can easily stay here in Rio Chirripo Yoga Retreat & Hotel. The rooms, lobby and dining area are tastefully decorated. There are 8 standard or balcony rooms. Each of these rooms has a double and a single bed. To ensure your privacy, there is a private bath attached to each room. 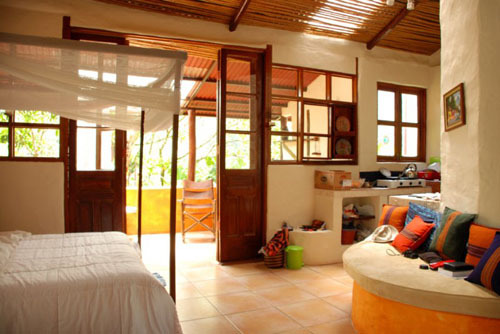 With each standard room there is a shared balcony opening onto gardens and tropical trees. If you want a more spacious one, then Casita is best for you which has a queen-size bed, a double bed and a further single bed if needed. There is a private bath and a kitchen with Castia. Maximum 3 people can stay here. A balcony, overlooking the beautiful scenery, is another attractive feature of Castia. Fully equipped kitchen with a stove, fridge, pots and pans, silver ware will make your stay more comfortable and relaxing. The wood and tiles inside the cabin give it a rustic yet modern feel. River Cabin, by far the best place to stay at the hotel, is located just a few steps from the riverside. If you are looking for a romantic and cozy place to stay, then River Cabin is waiting for you. It has all the amenities to make your stay comfortable and give you an experience of a life time. Their reasonable rates, friendly hosts and staff, relaxing atmosphere, and perfect location make the River Cabin the perfect hotel choice for your next family vacation or romantic weekend getaway. Each year thousands of tourists come to Costa Rica looking for Yoga Retreats with peaceful surroundings and gorgeous views. Rio Chirripo Yoga Retreat offers you the opportunity to practice this wonderful discipline in their uniquely designed Yoga room with views of the mountains and the sounds of the river. Anyone can attend these classes. Any level is accepted. Experienced and friendly instructors will guide you throughout the sessions. 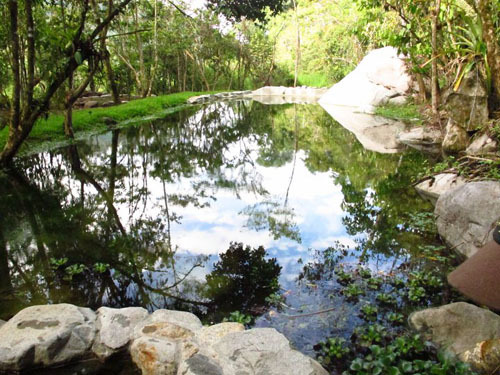 Rio Chirripo is the best place to have your Yoga retreat for the serene atmosphere and perfect setting. If you love to practice yoga or have always wanted to take up this ancient art of relaxation and exercise you should consider Rio Chirripo Yoga Retreat and Lodge.